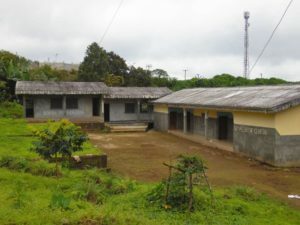 The drawn-out conflict which has engulfed Cameroon’s English-speaking regions has pitched already vulnerable children in care systems in the restive area into grave danger, with many forced from institutions caring for them and told to “run for your dear lives”. Orphans from institutions that have come under fire are missing. More uncertain days may lie ahead for orphans. Deadly confrontations pitting government forces against increasingly bold armed English-speaking separatists risk sliding into full-scale civil war. Thousands of residents have fled their homes in the south-west and north-west regions. In the south-west, the International Organization for Migration (IOM) estimates that 246,000 people have been internally displaced. A further 21,000 have crossed over the border to Nigeria. Those who have stayed behind have been living one day at the time as the country awaits result of a contentious presidential election in which Paul Biya, in power for 36 years, is heavily favoured. 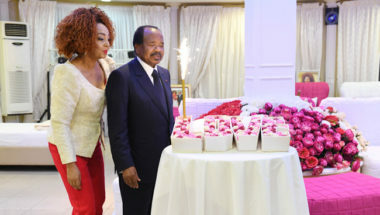 Biya rejects the separatists’ demands as well as calls for the creation of a federal state. In Ekondo Titi; a town in the south-west region where the government owns a Center for Children in Distress (CAED), the traditional ruler of the locality, Chief Issoh Itoh Stephen, was dragged out of church during a service and murdered by gunmen. The kids at CAED Ekondo Titi have remained in their facility at the mercy of the warring parties. 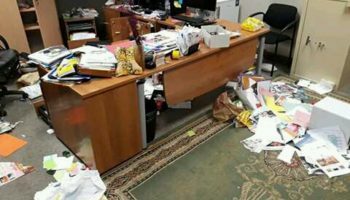 A care home for girls – St. Valentine’s Center in the town of Akwaya – was attacked by government troops last month. “Gripped by fear, everyone ran helter-skelter,” says Ayah Ayah Abine, Executive Director of Ayah Foundation; which runs the center. Of the 36 orphans the center was hosting, only six have been accounted for and moved to a safer site. Abine said the uncertain security situation makes it difficult to search for the missing orphans. “We have not thought of closing the orphanage. Where will the children go to? 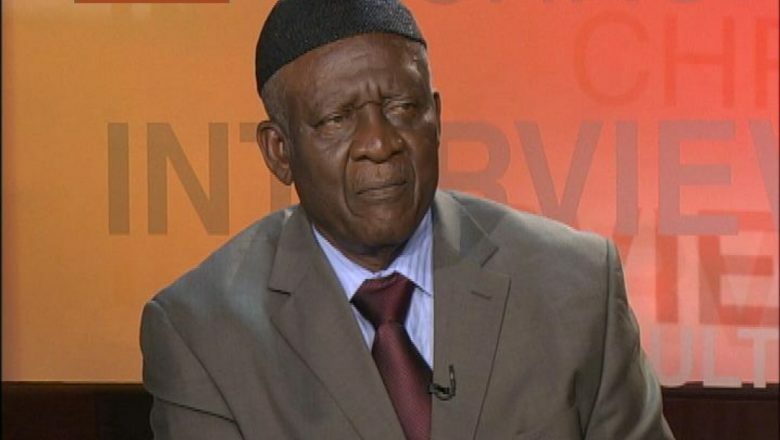 The government is very wicked and the system is fragile,” Abine says. Emile and Emilia, twins aged eight, were orphaned this year when their father was beheaded in Belo in the north-west region. 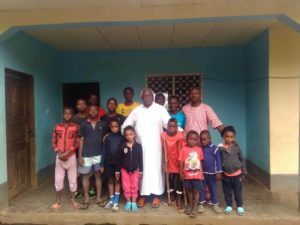 The Ayah Foundation took charge of the orphans and moved them 360 km to Buea, where they were given a new home for as long as they needed in St. Valentine’s Centre Buea. But tragedy struck again. Their orphanage was attacked by armed men in military fatigues. Emile, Emilia and 23 others, including eight orphans brought in from a refugee camp in Nigeria, barely survived the encounter. “On September 15, 2018, we did take the entire inmates and staff of the centre to safety,” Ayah Paul, Founder of St. Valentine’s Center, said in a statement. Most communities over a 70 km stretch between Buea and Kumba in the south-west region are deserted and videos show some being burnt to ashes. Managers of at least six orphanages hosting over 150 orphans shut down their institutions. Some orphans as young as five were left to fend for themselves. That, the manager said, was the last time he saw the children. 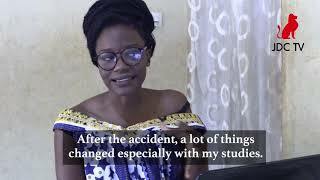 Njikem Nerville, a social worker, said in Kumba that orphans have been victims of forced movements. “Displaced orphans have reached us, some after trekking over long distances with headloads, and they have been amongst beneficiaries of relief items provided by Caritas in Fiango-Kumba,” Nerville said. One of the orphans was spotted at the Mile 17 Motor Park in Buea. 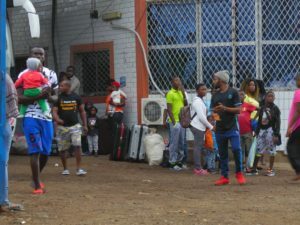 His eyes streaming with tears and holding a battered travel bag with his bandaged left hand, 16-year old Sam was struggling to board a bus to the commercial port city of Douala. “I am tired of listening to gun shots and seeing lifeless bodies here and there. I just want to go where I can sleep with both eyes closed and be sure to get up alive,” Sam said. He seemed unworried about moving to a destination without a host. Recurrent fighting in Ekona Town forced the lone orphanage run by Hope Alive Foundation to close and relocate its two residents to a safe site a few km away. But it was immediately overwhelmed by seven more displaced orphans. “Things have been extremely difficult for us as we have left our fief over safety concerns. 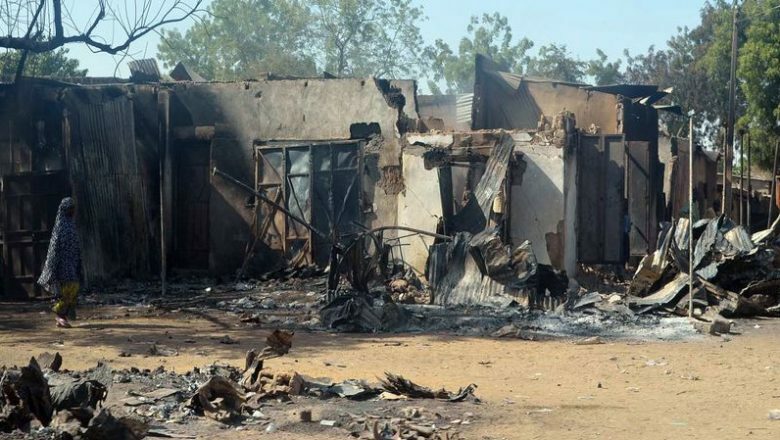 Ekona Town had become a fierce battle ground and all living things had to flee,” said Horance Angabu, the Project Coordinator of Hope Alive Foundation. With a shoestring budget, he says the institution has found it difficult to house and feed the orphans. Many rights organisations have condemned government actions — and inaction. “We are deeply concerned by the disappearance of several orphans… In times of conflict, international humanitarian law gives protection priority to vulnerable destitute persons amongst whom are women and children. 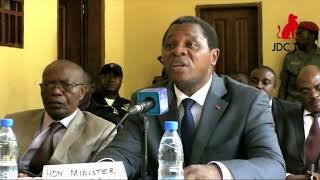 The disappearance of these children constitutes a violation of their rights to life, shelter, education and wellbeing,” says Blaise Chamango, the head of Human is Right, an NGO in Buea. 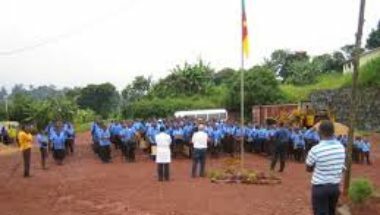 Since the beginning of the year, operations by security forces to quell dissent have met ferocious resistance from insurgents bent on creating a state dubbed Ambazonia to right what they see as systematic disregard for English-speakers by Cameroon’s francophone majority. The secessionist movement emerged after strikes in late 2016 by English-speaking lawyers and then teachers against the imposition of French. Stoked by the government’s uncompromising action in putting down dissent, mass protests ensued. At least 400 civilians have been killed in the past year by government troops and separatists, according to Amnesty International. The rights group says many deaths and casualties go unreported. 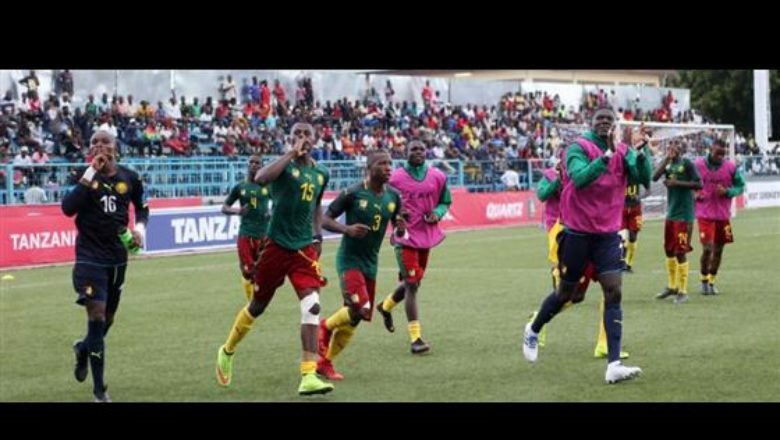 The conflict is raging at a particularly difficult moment for Cameroon. The central African nation is enduring economic shocks from the drop in the price of oil and other commodities. Spending on the fight against Boko Haram Islamist insurgents and the influx of refugees from Nigeria and the Central African Republic have stressed government coffers. A government plan for emergency humanitarian assistance plan for the north-west and south-west regions worth FCFA 12.7 billion is handicapped by a lack of funds. Residents also have misgivings of a plan initiated by the government while hostilities persist. The conflict has also halted all discussion on how the government intends to ensure the well-being of orphans as set down by the United Nations, specifically the move in many countries to take children out of institutions and find alternative solutions. Many countries, like Rwanda, have closed down orphanages. Epaphrodite Nsabimana, a child therapist based in Rwanda, says institutional care is more expensive than other forms of care. He holds that it is unnecessary and damaging — citing delayed cognitive development, vulnerability to abuse, poor physical development and lower self-esteem. Kum Joseph, a carpenter who spent 16 years in a small orphanage in Fiango in the city of Kumba, has no doubt his life would have been better had he never lived in the orphanage. “I always felt I was an outcast. As we grew up, there was no proper follow-up,” Joseph recounted. Reforms would also run up against resistance from orphanage owners. Before the conflict, orphanages tended to be run by individuals and missionary bodies. 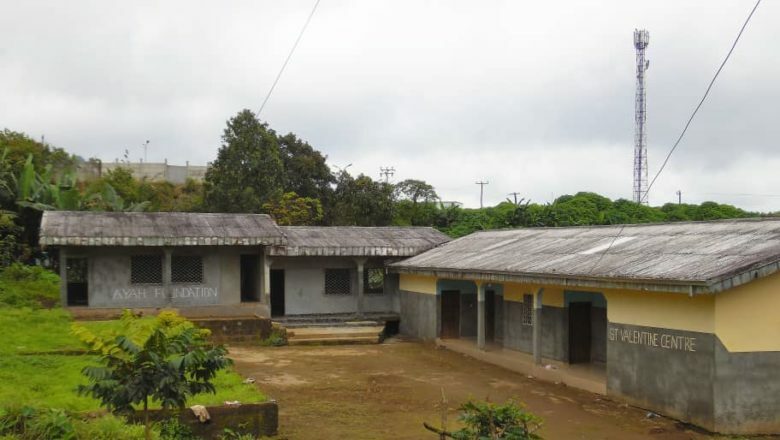 Officials of the Ministry of Social Affairs say the government, with the help of international development partners, had tried to transition from institutional care to community-based care, but faced a backlash from proprietors and the project made little headway. Like many other countries, Cameroon still lacks accurate statistics on the number of children living in care systems. Nwana née Dinga Caroline Nabit, Sub Director for Social Re-adaptation of Children in the Ministry of Social Affairs, blames the lack of data on the clandestine nature in which orphanages operate. Proprietors, she said, do not update data on children in their care or give misleading figures to secure funding. Women and children at the Mile 17 Motor Park fleeing the restive region. The United Nations Children’s Fund (UNICEF) says nearly 2.7 million children aged up to 17 are estimated to be living in residential care globally, with some 126,000 in West and Central Africa. A more recent tally by UNICEF puts the number at 2 million, though the U.N. agency notes that it is likely to be underestimated due to underreporting. 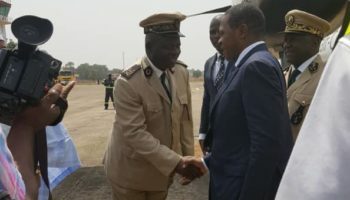 There are few signs of any serious move to work out a solution to end a conflict rooted in Cameroon’s history – and the formation of a state which secured independence with a legacy of British and French colonial rulers. But some voices are now calling for both sides to find common ground. 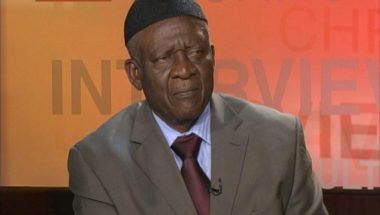 Dr. Willibroad Dze-Ngwa, an Associate Professor of Political History and International Relations at the University of Yaounde I, says both parties have to back down from extreme positions. 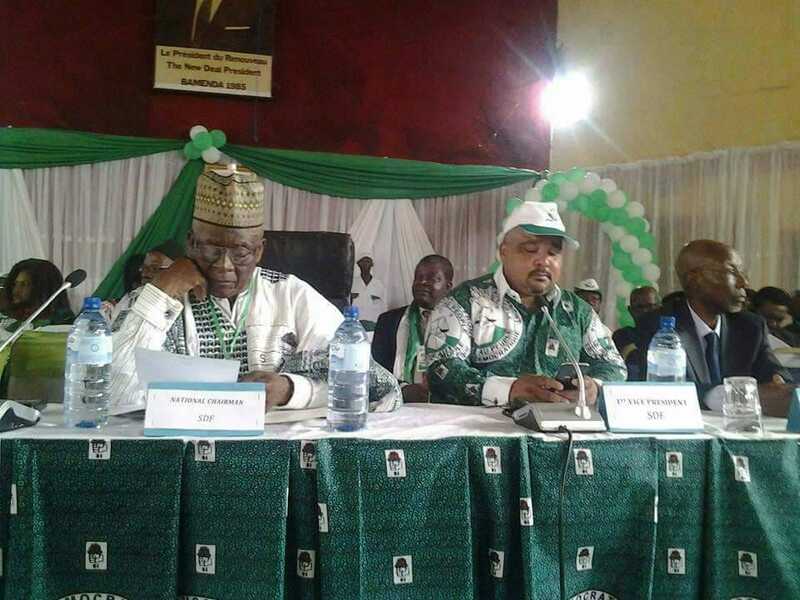 “There is need for a middle point,” Dze-Ngwa said in Yaounde. According to the university don, government is not genuinely willing to dialogue. Dze-Ngwa sees the actions taken so far by government as adopting the “magic of silence strategy”, with the hope that time will solve the problem. However, as time passes by, the problem keeps degenerating. (This story was produced by NewsWatch. It was written as part of “Reporting Vulnerable Children in Care” programme, a journalism skills development programme run by the Thomson Reuters Foundation, in partnership with UBS’s Optimus Foundation.